Eddie Irvine is now in his 20th season of racing, and there have been a lot of near misses during that career. One that still rankles is the 1999 British Grand Prix, a win that might have contributed to a world championship title. "I should have won, but it went wrong at the pit-stop," he recalls. "Another one was the Macau F3 race in 1988:1 set the pace, got pole position and won the first heat, before an accident at the start of the second heat. And then there's Le Mans..."
In 1994, Eddie came within an hour-and-a-half of winning the 24 Hours, but ultimately had to settle for second. His first appearance at La Sarthe came in 1992 with the SARD team, which had long been the home of Roland Ratzenberger. Sharing a Toyota Group C car with the Austrian, and veteran Swede Eje Elgh, he finished a much delayed ninth. Though the result was disappointing, he instantly fell in love with the event. "It's a great circuit and a great race. Even if you're running a lap down, you still have a chance to win." The following year, Eddie transferred to the 3.5-litre atmo works TOM'S team, and a sensational performance pushed Peugeot all the way and netted a lap record. "That car was fantastic, the TS010, a dream to drive. There was no-one lapping as quickly as me the whole race, which was incredible. I thought I was in a different league from anyone else there." 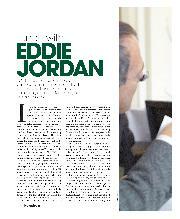 A watching Eddie Jordan was impressed, and by 1994, Irvine was a full-time F1 driver. As such, he had no plans to go back to Le Mans. But after Ratzenberger was killed during qualifying for the San Marino GP, the devastated SARD team got in touch. Eddie was the only man they wanted to replace Roland, and he didn't take long to say yes, even though it meant cancelling plans to join EJ to watch the World Cup in the USA. His co-drivers were to be old pals Mauro Martini and Jeff Krosnoff, the best-known double act in Japanese racing. They had been team-mates in F3000 and sportscar racing, and in 1991 had driven a works TVVR Jaguar at Le Mans. "I didn't have a problem with going back," says Eddie. "I knew Jeff and Mauro well, and I really wanted to do the race. I wanted to be quicker than them! The team didn't have a massive budget, but they didn't do a bad job with what they had. We were three good drivers who worked hard together, and worked well together. It was not the most nimble of the cars at Le Mans that year, but it was fun to drive." It was an emotional weekend for the drivers, all of whom had known Ratzenberger well. 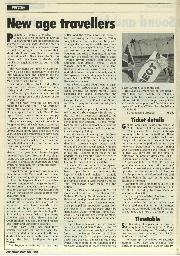 And for me, too: thanks to an introduction from Roland, I had been part of the SARD team for three years, writing press releases. Memories of the Austrian were everywhere: his name was still written on the door of the car, and a helmet and framed photograph were on display in the garage. Eddie had to put that out of his mind: "I didn't really see it. I switched off to that, big time. You have to." It was an open race, as the works atmo cars were gone. The old Group C cars were ballasted up to 1000kg and had their underbodies trimmed, but the SARD Toyota and the rival Trust entry looked promising, as did the Courages. 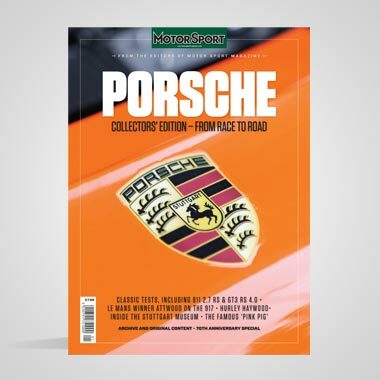 However, Porsche had interpreted the rules in an interesting fashion. 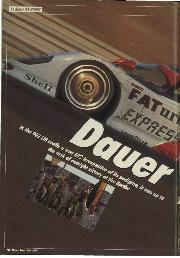 Privateer Jochen Dauer had homologated a road car version of the 962, allowing Joest to enter a pair of tweaked works Group C cars in the new GT class. Their big advantage was a 50 per cent larger fuel tank a huge bonus in terms of time in the pits. 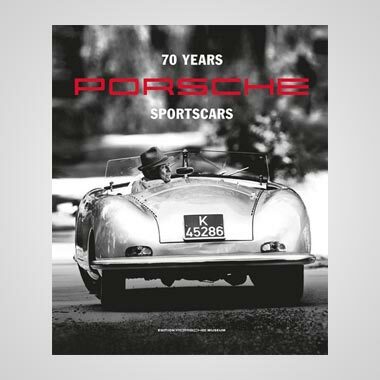 Porsche also had a stellar driver squad, with Hans Stuck, Thierry Boutsen, Danny Sullivan in one car, and Hurley Haywood, Yannick Dalmas and Mauro Baldi in the other. 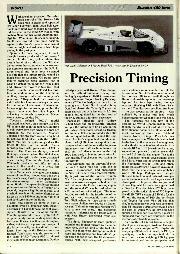 Sure enough, the 962LMs set the pace, but early problems dropped them down the order, allowing Krosnoff and Martini to establish the SARD car in the lead before Eddie got in. Then a brake disc change dropped them back at the five-hour mark. Irvine was on great form, bolstered by watching Ireland beat Italy one-nil in the World Cup on Saturday evening. "I came in, went up to the team's hospitality suite, and was watching the times on the monitor. I decided to change channels to see if there was anything else on, and I saw this green-shirted guy kicking the ball into the net. Then I realised Ireland had scored!" At the next stop, Eddie made sure that Martini knew the result when they swapped over. Anchored by Bob Wollek, the Trust Toyota was the main competition during a night of fluctuating fortunes, but when it hit trouble, SARD were able to establish a firm lead. The Porsches, however, were getting ever closer. As the race crawled into its final hours, the Japanese car overcame recurring brake problems to remain in front. 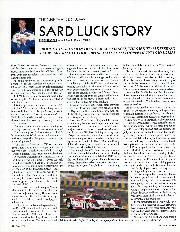 Too confident, I distributed a press release explaining SARD's background and Le Mans history. Then, inevitably, it all went wrong. With just 90 minutes to go, Krosnoff came on the radio shouting, "I've got no gears, I've got no gears!" The car stopped just past the pit exit, and Jeff jumped out and started fiddling with a broken gear linkage. Fortunately, he was pretty handy he built Tamiya kits to wile away endless hours in Tokyo and was able to jam it into third. He edged back to the pits, where a proper repair was carried out. Both Porsches got by before Irvine was able to resume. Realistically, he had no chance of catching the leader, but at least there was a possibility of relieving Boutsen of second. Then the Toyota's abused third gear broke. But Eddie continued to put in storming lap times. Ducking and diving past the walking wounded, he caught Boutsen's Porsche and finally nipped past on the very last lap, scaring the flag-waving marshals. "At least the problem gave me a chance to do that great drive back. It was so much fun, but looking back, it was madness. 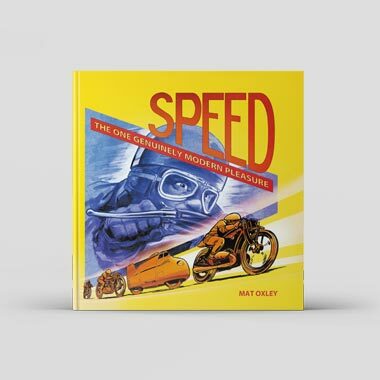 We were going past cars that were cruising to get to the chequered flag, and we were still doing 230mph or whatever. Madness. But I boshed Boutsen and broke up the Porsches, which was great. I had as much fun that day as I ever have in a racing car." In the circumstances, a win would have been something really special. And it would have been made even more poignant by the fact that two years later Krosnoff was killed in the Toronto CART race. "For sure, but it didn't happen, so there's no point in tallcing about it".